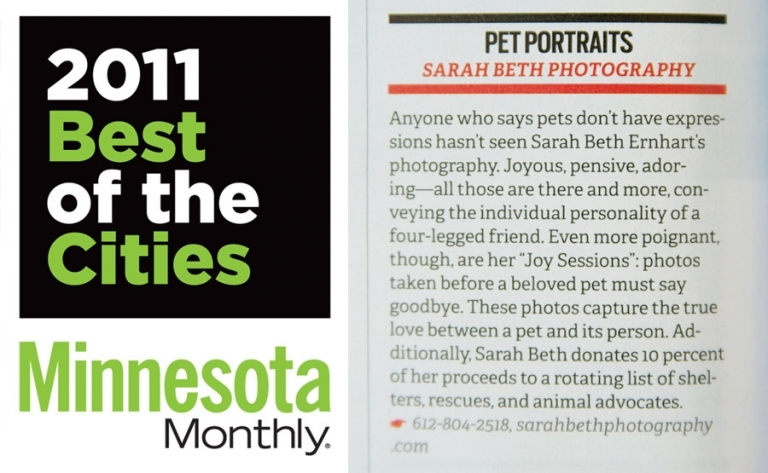 The Minnesota Monthly Best Of Awards for 2011 have been published, and I’m SO so excited and honored to have won “Best Pet Portraits” for 2011! I had no idea until a friend texted me a couple days ago after seeing the article, then I soon received the congratulatory email from the magazine. 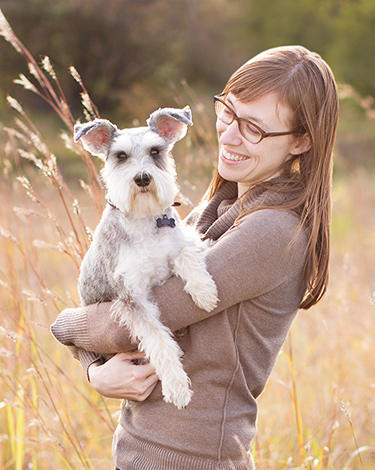 As far as I know, it’s never been a category before, so I’m doubly honored to have a part in bringing more pet industry awareness to our fair Cities. I even get to have one of those awesome “Best Of” plaques that you see around town! So thank you to all my friends, colleagues and clients…. I’m humbled every day to get to do this, and to touch people’s lives through beautiful images. Well deserved! You’re work is wonderful. So awesome! Congratulations – you are your work are inspiring. Love that you are getting this recognition! Congrats Sarah! I couldn’t agree more! Your hard work and caring soul shines. People notice and love you. Congratulations :). Congratulations Beep! You are amazing :) We’re very proud of you. Congratulations! Looking at your work, it’s easy to see that this honor is well-deserved!